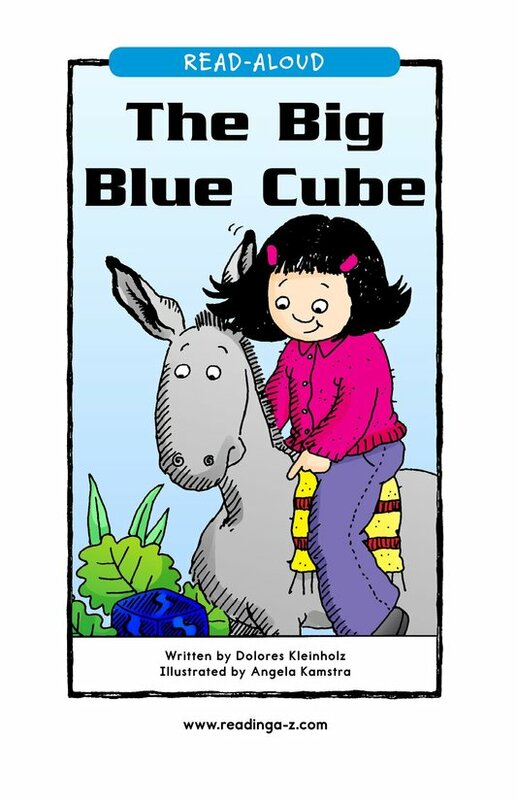 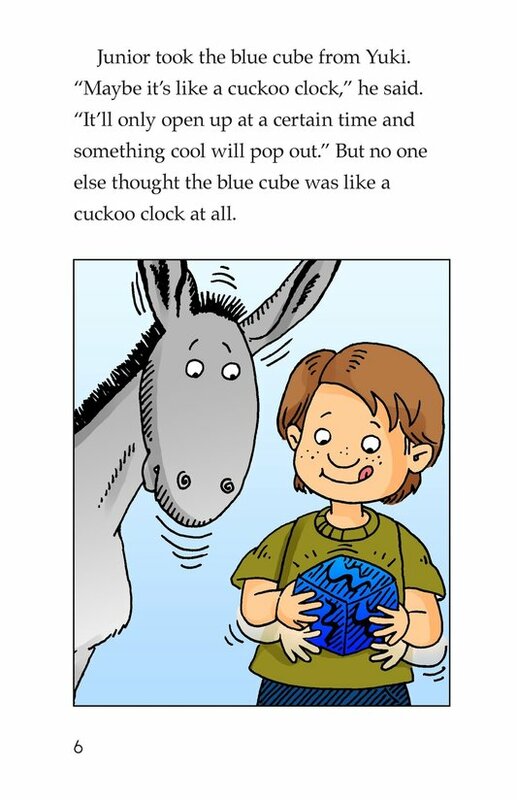 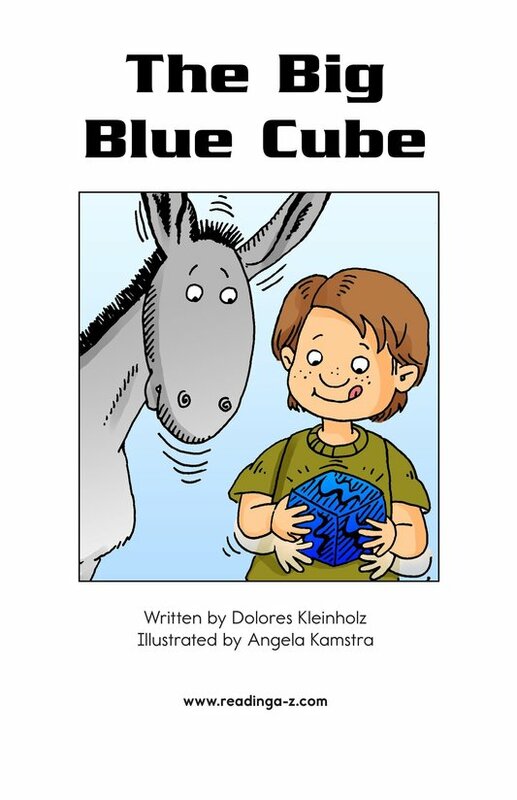 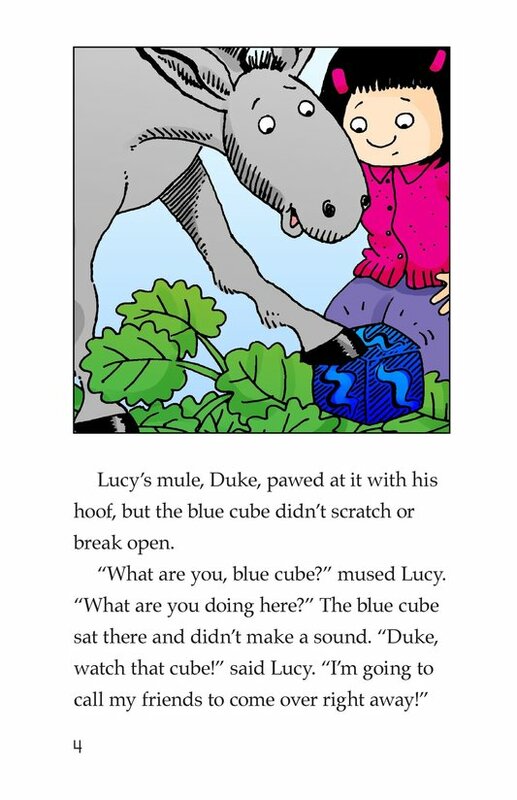 Lucy and her mule, Duke, find a blue cube. 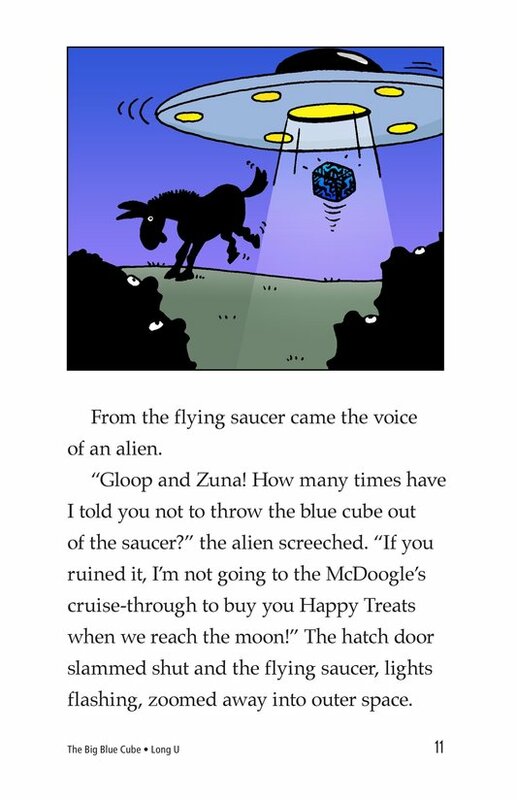 However, they don't know what it is or where it came from. 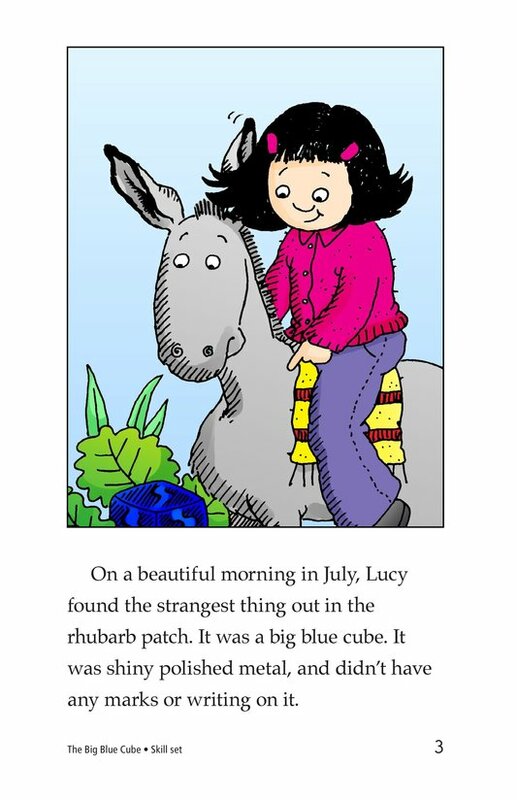 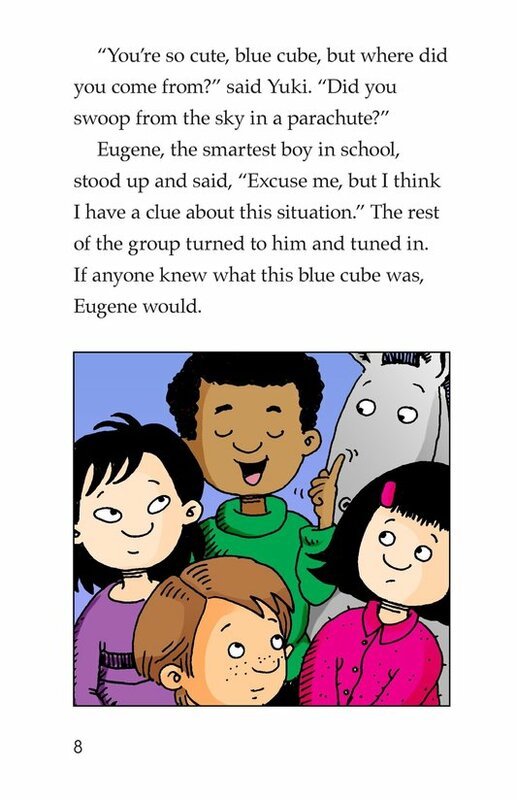 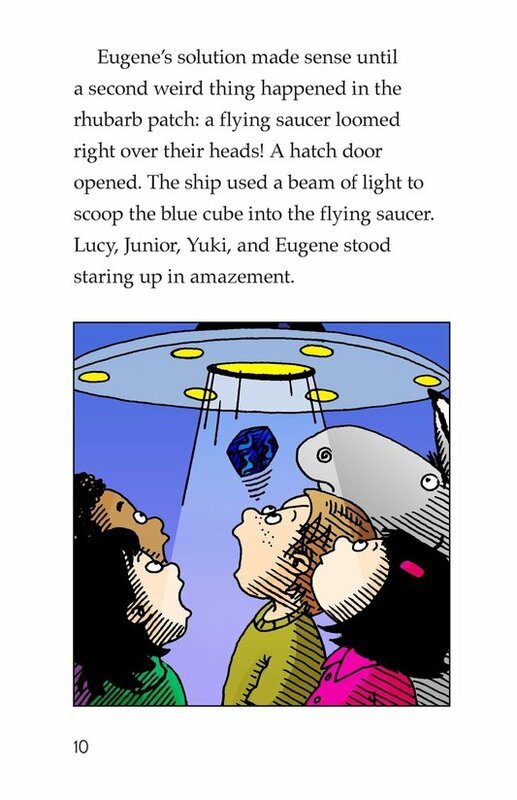 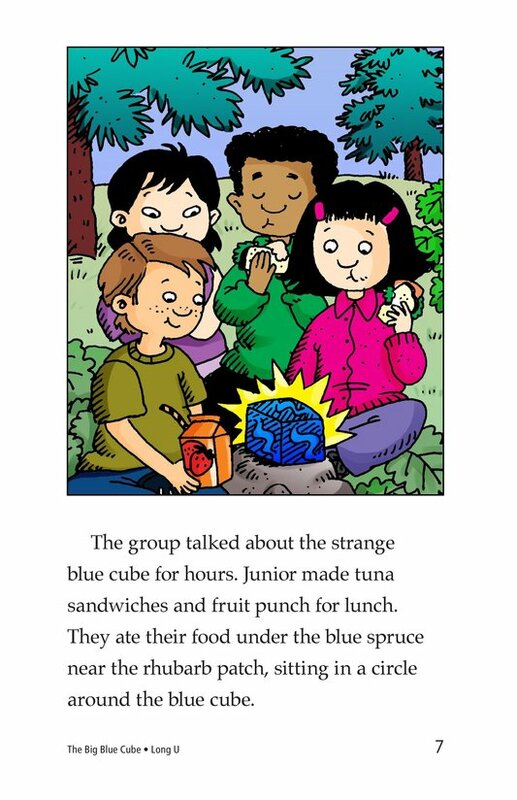 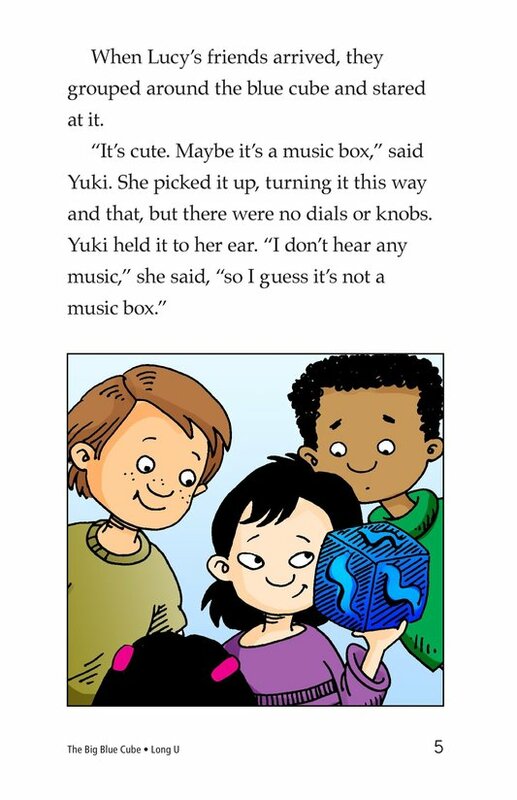 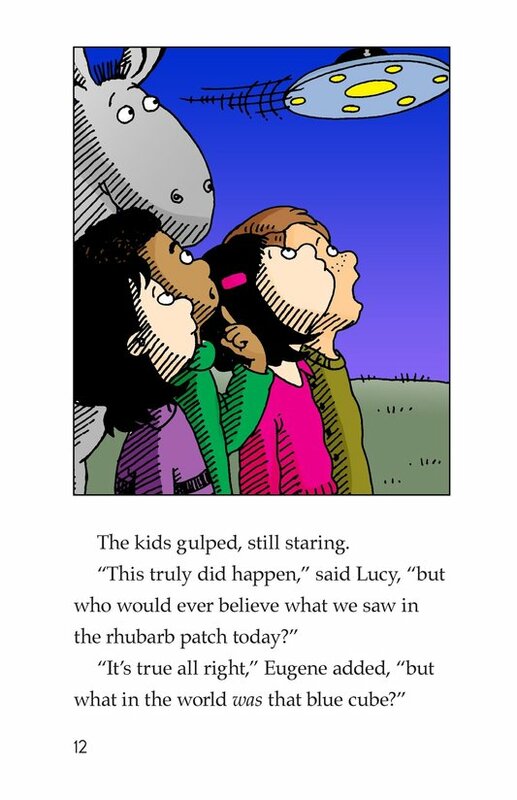 Lucy asks her friends to help her identify the blue cube. 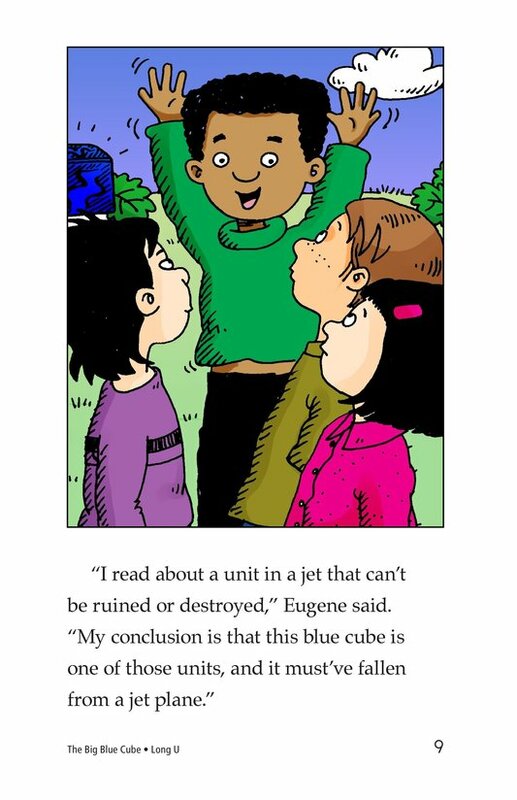 While the friends are offering ideas, they discover the cube's owner when a spacecraft zooms down, scoops it up, and flies off. 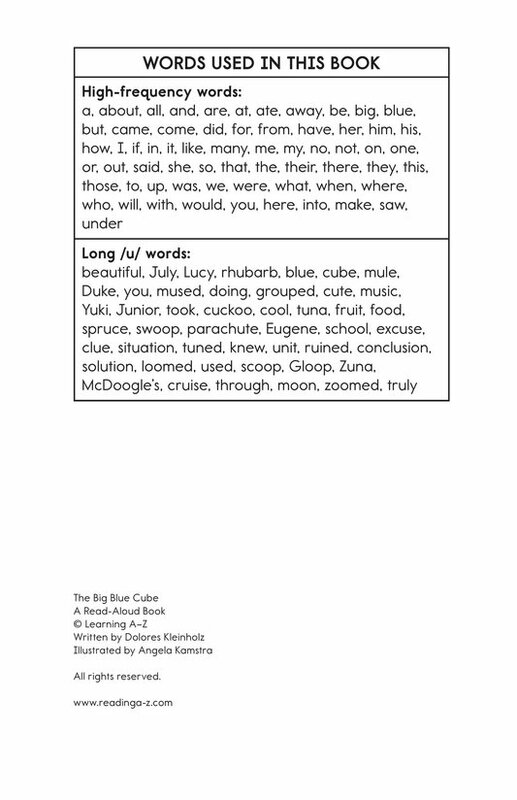 Introduce and expose students to the long /u/ vowel sound represented by the VCe and variant vowel /oo/ spellings.